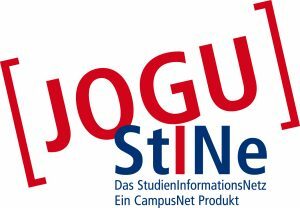 To study at JGU, please apply via our application portal JOGUStINe. Please note that there are a few exceptions. This is why it is helpful to assign yourself to an applicant group before starting your application. Hereby you can ensure to apply in the right place. Please note the respective application deadlines. > How can I apply for the preparatory college? > How can I apply for the preparatory German course? Persons with foreign certificates and officially recognized refugee status or subsidiary protection (§ 25 Para. 1 or § 25 Para. 1 or 2 German Residence Act/AufenthG) can also apply for the preparatory German course offered specifically for them. Every refugee can apply for the German course, regardless of having a direct university entrance qualification or a university entrance qualification after passing the assessment test (“Feststellungsprüfung”). Please note the respective application deadlines. > How can I apply for the preparatory German course for refugees? Notice: Applications via e-mail cannot be accepted nor be processed! Please note the application deadlines. > How can I apply for a bachelor’s or state examination program as an international applicant (except EU)?? > How can I apply for a master’s program? > How can I apply for a doctoral program? Application for exchange students, please see here. Applications via Email will not be accepted and will not be processed.